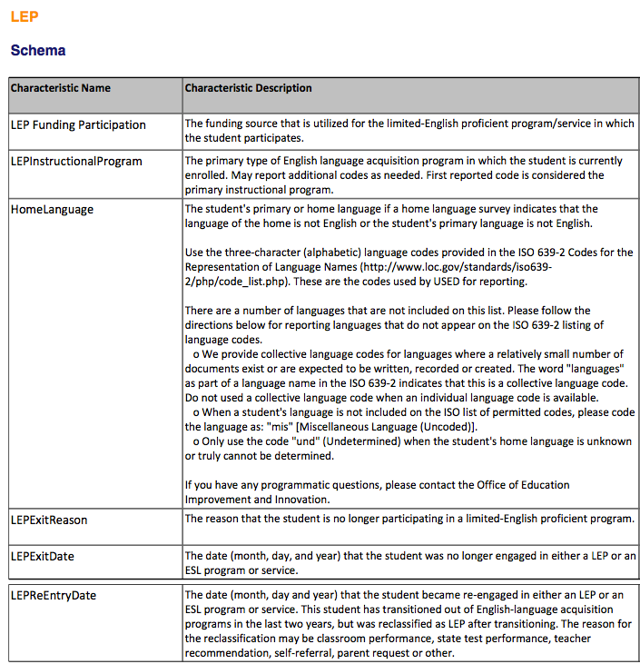 This lesson serves as a guide to the Initial IFSP Component of the Michigan Student Data System submission. 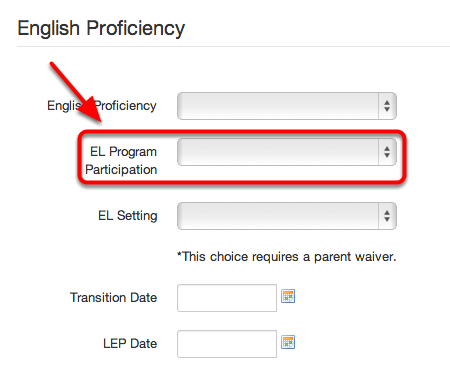 The LEP Funding Participation characteristic is generated from the "EL Program Participation" field under the Language Tab-> Language Details link. 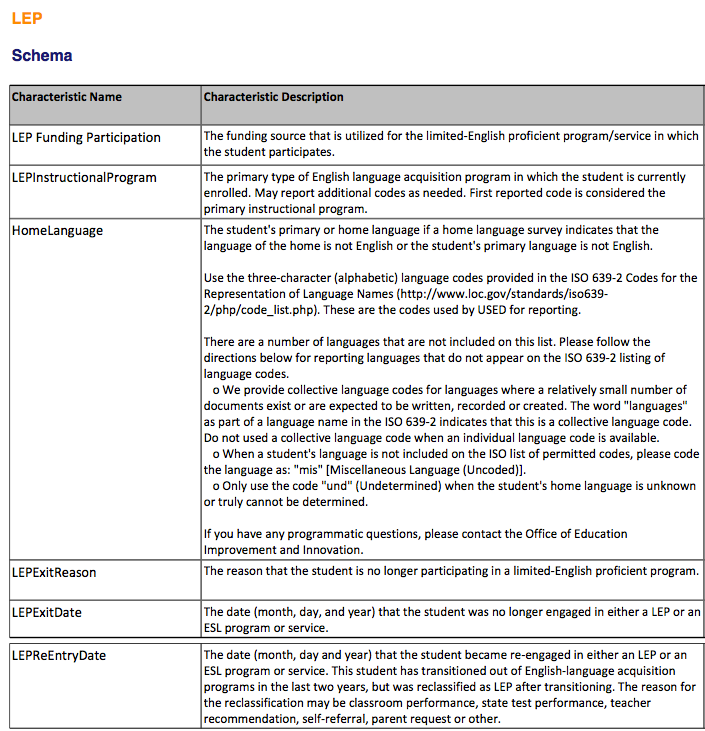 The LEP Instructional Program characteristic is generated from the "English Proficiency" field under the Language Tab-> Language Details link. The Home Language characteristic has two sources. 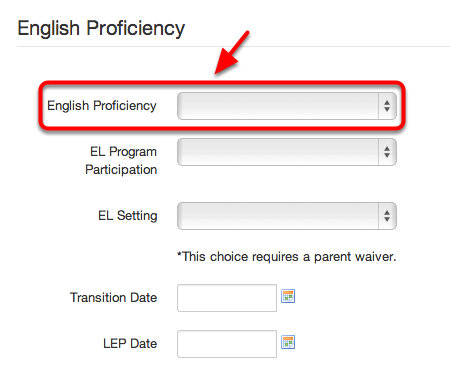 Data for this characteristic is pulled from both the "Home Language" field under the Language Tab-> Language Details and the "Primary Language" field under the Students Tab-> Demographic Details. 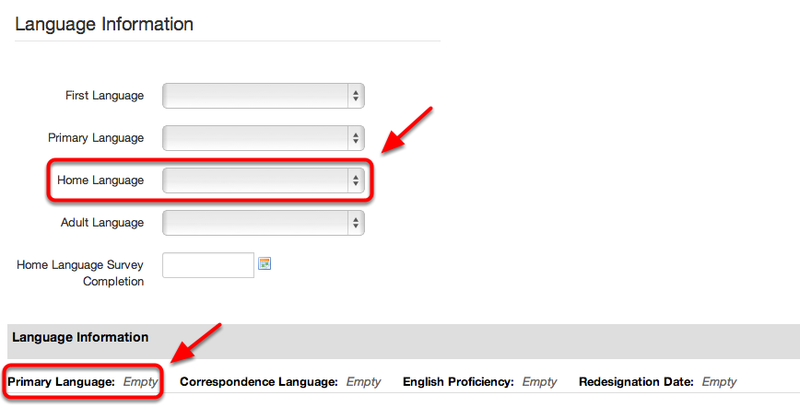 Note: Both will be reported if both are populated. 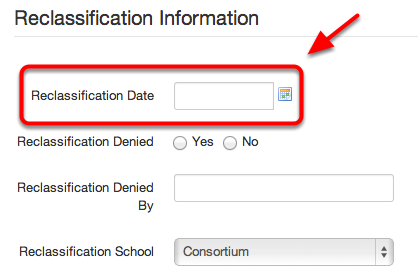 The LEP Exit Date characteristic is drawn from the "Reclassification Date" field under the Language Tab-> Language Details link. 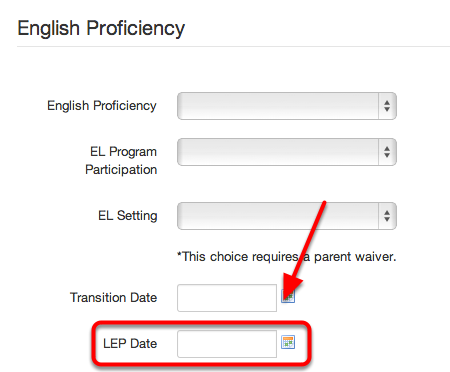 The LEP Re-Entry Date is generated from the "LEP Date" under the Language Tab-> Language Details link; however, this date is only reported when the "LEP Date" is greater than the "Reclassification Date." If you have specific questions about this component, the data elements, or rules please reference the MSDS Collection Details Manual. If you have additional questions about where the extract pulls data from for state reporting you can reach us via e-mail at help@illuminateed.com or by telephone at (517) 224-4499.